Please measure your dog mid neck in inches. The collars are adjustable via the slider and have plenty of scope to be made smaller. 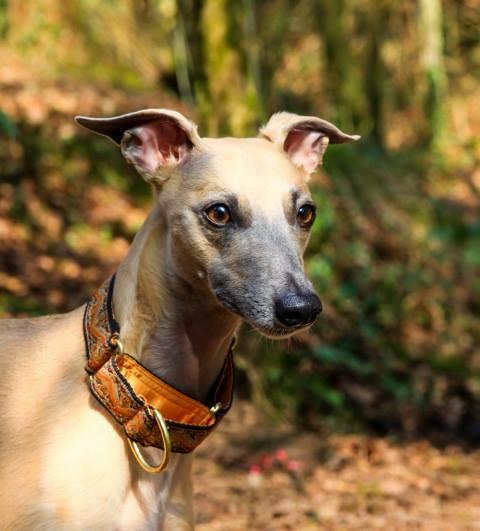 The martingale and single loop style will expand a further 2" from the mid neck size you supply, so a 14" collar will expand to 16" to go over the head and ears. If your dog has a large skull circumference (like a Bull Breed) please add at least an inch to the mid neck measurement. Whippet small 10" large 12". Average Greyhound 15", Medium Lurcher or Saluki 14", Afghan 19" Wolfhound 22". Recommended minimum neck size 14" for the 50mm wide collars. 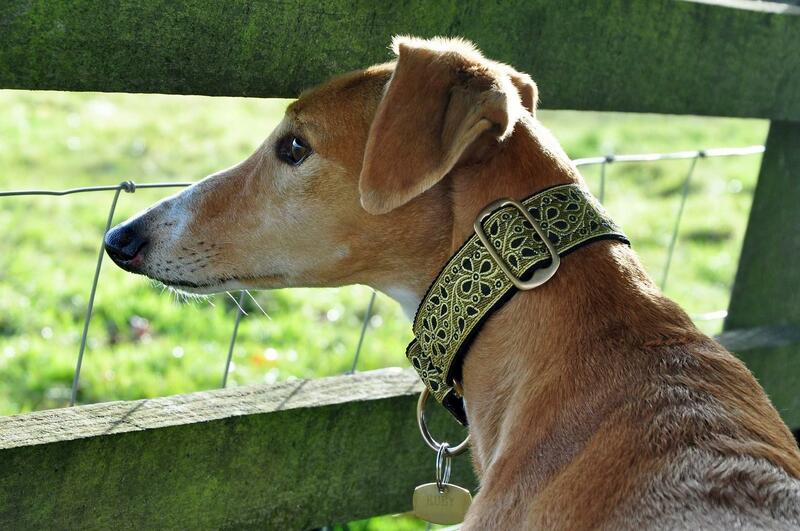 For 95% of sighthounds- particularly newly homed Greyhounds and rescue dogs, I would recommend the martingale for safety and ease of use. 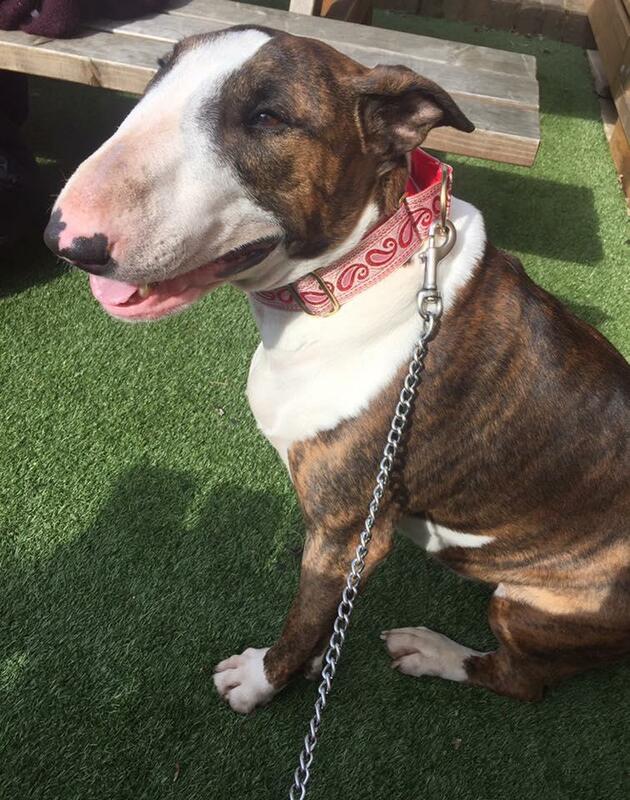 Used correctly your dog will be unable to escape from a martingale collar. 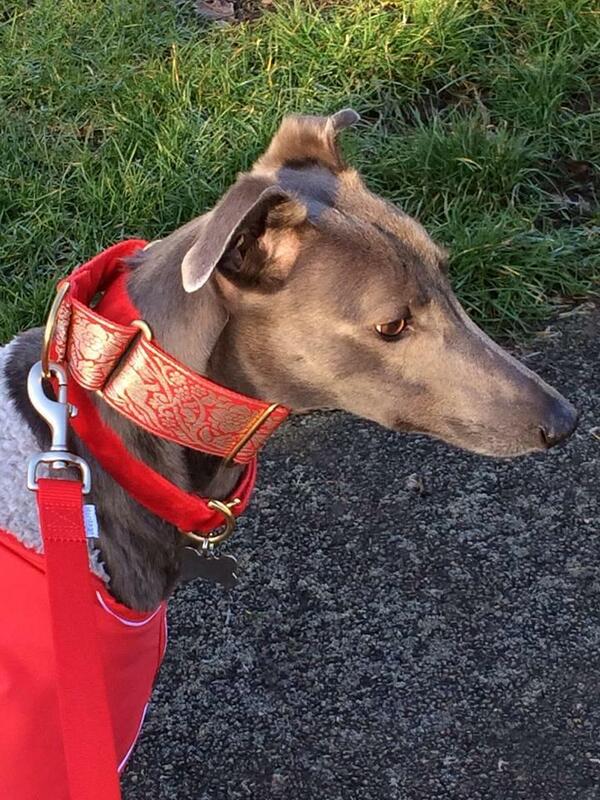 Once you have your martingale please place over dogs head and fit snugly mid neck. There should be no loop hanging down. The lead once attached will then adjust the collar as it moves up the neck to prevent it from coming over the head. It is not advisable to leave a dog alone in a martingale due to this safety feature. 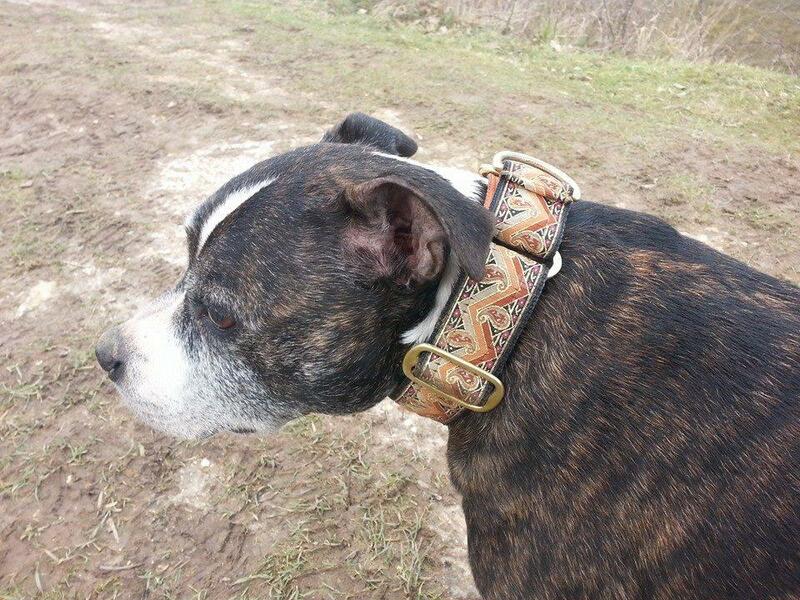 The martingale is designed to be a walking collar for lead attachment. 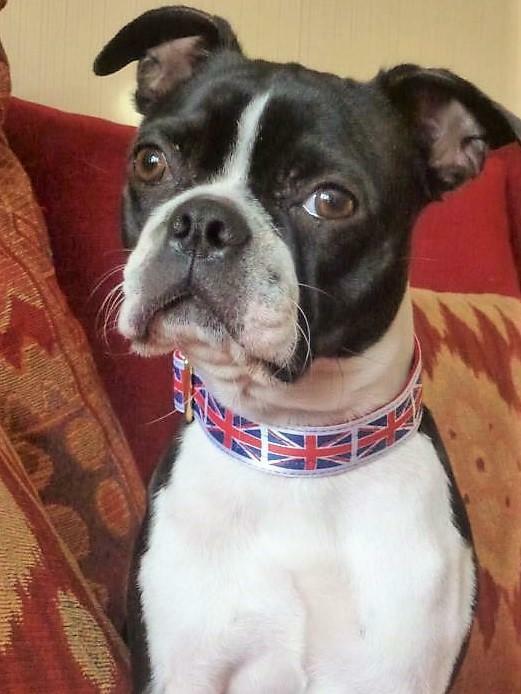 For other breeds ordering side release collars please measure your dog mid neck. All Kitsch collars are adjustable so you can add an inch or two to the mid neck size order to allow for growth in puppies or for dogs who's neck sizes change due to trimming. 40mm Only available as single loop or martingale. Neck sizes start at 10" (small Whippet). 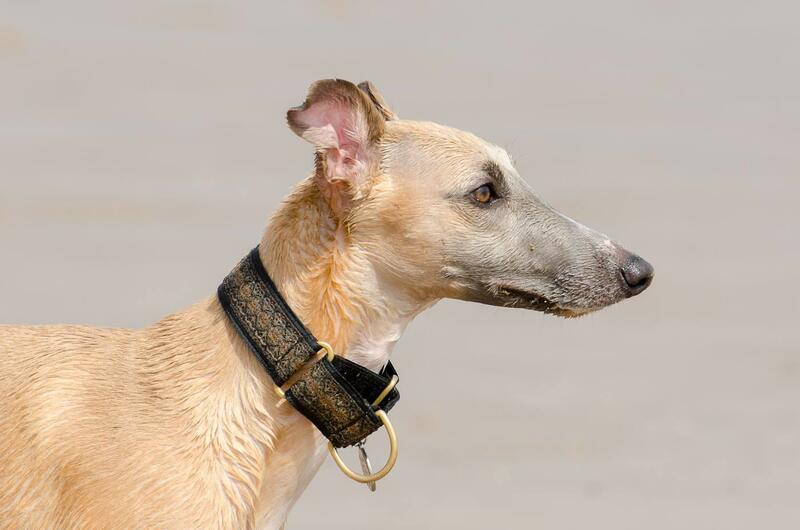 Mostly ordered for Sighthounds, but are also popular for bull breeds where the neck is larger or the same diameter as the head (the martingale will not pull off over the head) and other breeds of dogs that pull, as they offer better protection for the throat. 50mmOnly available as single loop or martingale. 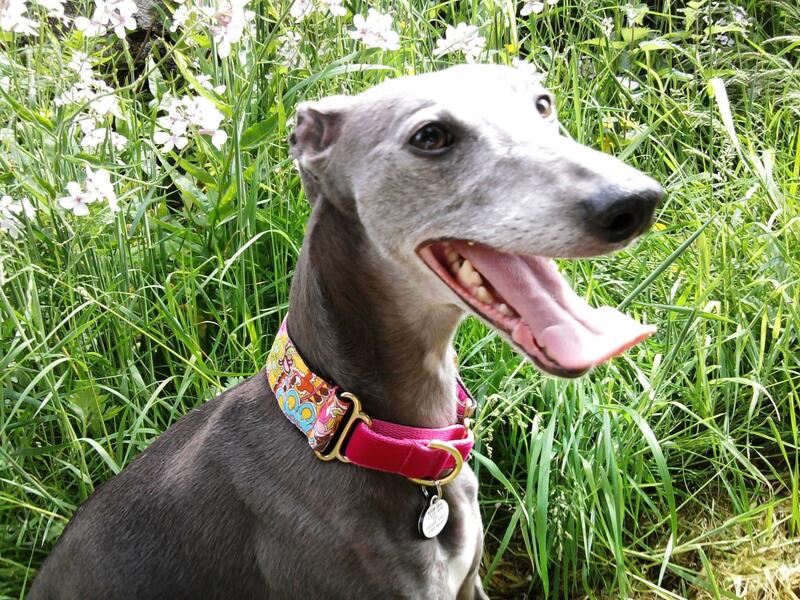 Neck sizes start at 14" as they are too wide for Whippets. Side Release A regular clip apart collar. I only use Weinerlock safety clips. Single Loop One expanding loop, all brass fittings. Goes over the head and reduces to fit. Martingale Two loops. All brass. Goes over the head with the extra loop acting as a safety closer. Half Martingale Two loops. All brass. Goes over the head with extra safety loop made from a narrower webbing for those who need width at the front, but smaller D ring for lead attachment.